Welcome to Louisville, a different kind of Southern city. We are original, local, weird and downright fun. Louisville offers big-city amenities, from our outstanding parks, our pioneering Southern cuisine — making us one of the "10 Best New Food Cities" in America — to our world-class performing arts, with small-city advantages like shorter commutes, lower costs of living and a tight-knit community. Whether you are new to Louisville or are simply looking for new things to do, we invite you to explore our city and the great state of Kentucky! Check out the areas below for more information about what you can find in and around Louisville. And if you’re just wanting to know what might be happening tonight in town, be sure to keep an eye on Do 502, which is a fantastic way to get the word on events around town. Thunder Over Louisville kicks off the annual Kentucky Derby Festival with the world's largest fireworks display. 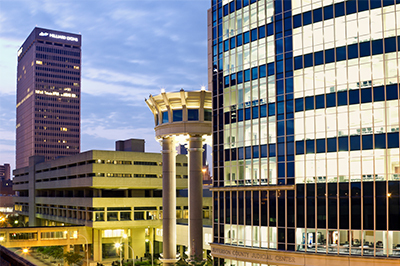 As the largest city in Kentucky, Louisville is also the state's hottest legal market. And it was recently named one of the country's hottest legal markets by Law360. We're home to several big law firms — where many Louisville Law graduates now practice — that offer summer internships for our students. And as home to large employers such as Ford Motor Company, UPS Airlines and Amazon as well as a booming health care sector, Louisville has opportunities for law students to gain practical experience in a variety of settings. And in 2018, SmartAsset.com named Louisville a top city for recent college grads based on our city's job market, affordability and fun. 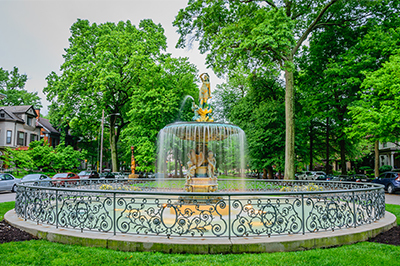 Louisville is home to one of the largest urban park systems in the nation. Our park system was designed by famed architect Frederick Law Olmsted, designer of New York City’s Central Park. 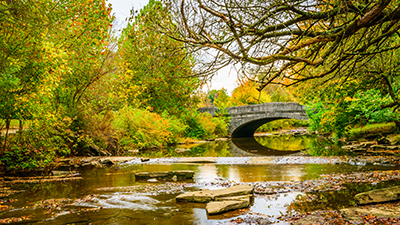 A newer addition to our parks system is The Parklands of Floyds Fork, one of the nation’s largest new metropolitan parks projects that comprises nearly 4,000 acres of land across four parks. Louisville is a bike-friendly community with a vast network of bike trails called the Louisville Loop and is home to the only underground bike park, MegaBike, in the world! And the city has recently adopted a bike-sharing program and is home to scooter-sharing options as well. In addition to college sports, which are traditionally popular in the state of Kentucky, Louisville is home to a number of professional sports teams and events. Louisville is home to the Louisville Bats, a Triple A affiliate of the Cincinnati Reds. Games are played throughout the seasons at Louisville Slugger Field downtown, named after another Louisville original: the Slugger bat. If you’re interested, you can also visit the Slugger Museum and Factory in downtown Louisville. In 2015 Louisville became home to a USL soccer team, the Louisville City Football Club. And after only two years’ time, LFCF won the USL Cup title in 2017. The team is supported by a local group of dedicated fans called The Coopers—named for the term "cooper" meaning barrel maker," as Kentucky is home to more barrels of bourbon than people. You can support our boys in purple currently at Slugger Field, but in the future at the new stadium set to be built in the Butchertown area of Louisville. Finally, you cannot talk about Louisville and not mention what is perhaps the city’s most famous event: The Kentucky Derby. The Derby kicks off with two weeks of events — parades, contests, races, food trucks — culminating in the greatest two minutes in sports on the first Saturday in May. Louisville is home to the Fund for the Arts, the oldest united arts fund in the country. With more than a dozen venues and performance companies, both indoors and outdoors, ranging in entertainment from classical ballet to Broadway to concerts to readings. You really can find it all here in Louisville. There are regular performances from our orchestra, opera and ballet and numerous traveling shows that come through town. There are annual festivals focused on music, Ideas, movies and writers. We also have free concerts the last Wednesday of each month during the summer on our beautiful waterfront. Past artists include Iron & Wine, The Avett Brothers and Lake Street Dive. The season is always a good mix of nationally known and local artists, all supported by public media listeners. Louisville is a city full of museums and cultural centers. You can visit The Muhammad Ali Center to learn about the famous Louisville native, or take in amazing art at places like The Speed Art Museum and the Kentucky Museum of Arts and Crafts (KMAC for short). Or maybe you want to discovery more about the world around you with interactive exhibits at the Kentucky Science Center. There are almost too many options to list of all the opportunities to learn, grow and be entertained in Louisville! More and more when people think of Louisville, they think of food and of course, bourbon! Louisville is a foodie town and the gateway to bourbon country. Louisville is consistently ranked in various publications as a top travel destination for food. And Louisville has one of the nation’s best local restaurant scenes. Louisville restaurants are innovative, welcoming and downright delicious and you will be able to find just about anything you could want in town. Many restaurants are also dedicated to using locally sourced foods. The more you learn about Louisville, the more you will discover that we are all about supporting our local businesses and building our unique way of life. But what is good food without a delicious drink to wash it down? Kentucky is of course known for bourbon making and travelers often visit the distilleries on the Bourbon Trail, but Louisville also happens to be home to the Urban Bourbon Trail. You can learn about the process of making bourbon and taste the different types all without leaving the city. Louisville is an eclectic collection of people as can be seen throughout our collection of neighborhoods and communities. Whether you want the bright lights of downtown’s Fourth Street Live or the laidback culture of the Highlands or Butchertown – modern amenities and history mix amazingly well throughout all of Louisville. Louisville is focused on building sustainable neighborhoods, like NuLu, one of 8 communities in the nation to receive a grant from EPA Building next events for Sustainable Communities Program. Whatever your style, you can find it in Louisville. Come explore our city and our stylish neighborhoods. With all of these amazing things, if Louisville is anything, it’s livable! Louisville is ranked a top 10 beer city, pet city, green city and college city by livability.com.